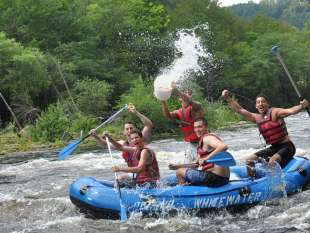 Tubing on the rivers of the Pocono Mountains is the place to be on those hot steamy, summer days. Schedule a trip with a Pocono outfitter and just lay back, relax and drift along. For something a bit more surreal... journey under the stars and explore the nightlife under a midsummer moon as glow sticks dance around you like fireflies. For the thrill seekers, try a whitewater rafting adventure.